Since I wrote in this space about mainstream media ignoring the story of the standoff between Kenya's Catholic bishops and their country's government concerning a tetanus-vaccination program, two new developments have come up. NAIROBI, Kenya, Nov 12 -- Health Cabinet Secretary James Macharia says plans are already underway to conduct joint tests on the tetanus vaccine with all stakeholders including the Catholic Church. Macharia said Wednesday that the analysis will be carried out within the course of next week to identify the vaccine samples and allay fears that it is harmful to women’s reproductive health. He explained that testing will be undertaken at the Kenya Medical Research Institute in a bid to dispel the dispute surrounding the vaccine. “I was in Naivasha on Saturday launching the polio vaccine and I announced that we shall be having a joint exercise with not just the Catholic Church but all stakeholders to make sure that people get confidence that indeed what we are saying is true. Already, that committee has been formed and they had their first meeting on Monday,” he said. His statement followed an order by the National Assembly Committee on Health on Tuesday for an investigation into the vaccine which the Catholic Church claimed was being used to secretly sterilise women. Second, a few hours after my post appeared Tuesday morning complaining that the story had been overlooked by US media, news of the bishops' standoff finally made the headlines via Religion News Service. The story by RNS Kenya correspondent Fredrick Nzwili highlights the news angle I had emphasized in my GetReligion post: What is of greatest significance from a journalism standpoint is not the supposed conspiracy, which has yet to be proven, but rather the conflict between the bishops and the government on an issue that concerns public health. 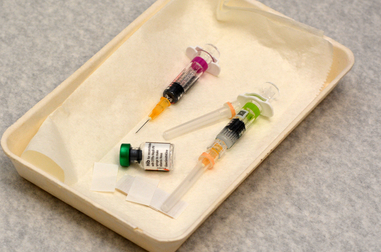 NAIROBI, Kenya (RNS) A row between the Catholic Church and the government over a tetanus vaccine aimed at women in their childbearing years has clergy urging people to shun the injection, saying it’s a stealth population-control ploy. An ordinary tetanus shot can protect a person for 10 years, with a booster available for those who have suffered an injury. The bishops also wondered why the campaign was being rolled out in phases and in secrecy. “To our surprise, the Ministry of Health confirmed it had not tested the vaccine, having trusted it, since it originated from WHO (World Health Organization), a credible organization in matters of health,” said Kariuki. The government insists the vaccine is safe. So too does the World Health Organization and UNICEF. The two groups issued a statement saying the vaccine, which has been used by 130 million women in 52 countries, is safe. “These allegations are not backed up by evidence, and risk negatively impacting national immunizations programs for children and women,” the WHO and UNICEF statement said. The government began providing the shots in October 2013. Nzwili's tone throughout is even-handed, which is particularly refreshing given the heat the dispute has raised in the blogosphere. Given that the story is still developing, here's hoping RNS engages him to write a follow-up.